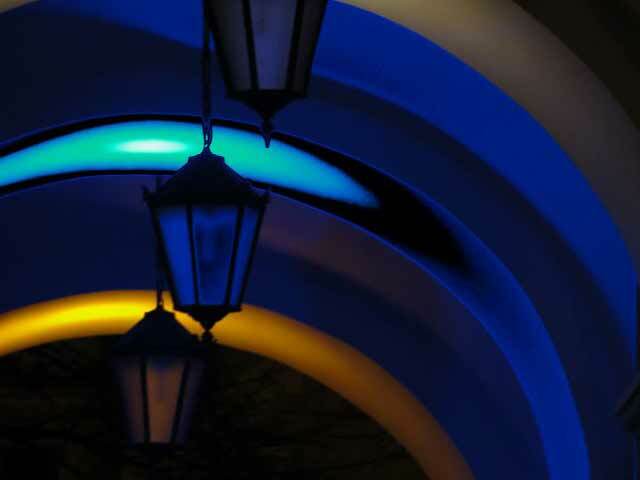 The project that Lviv is waiting for! Ваш браузер безнадійно застарів та не взмозі корректно відобразити даний сайт. Для кращого відображення та доступності оновіть свій браузер до новітньої версії Chrome, Safari or Firefox browser. 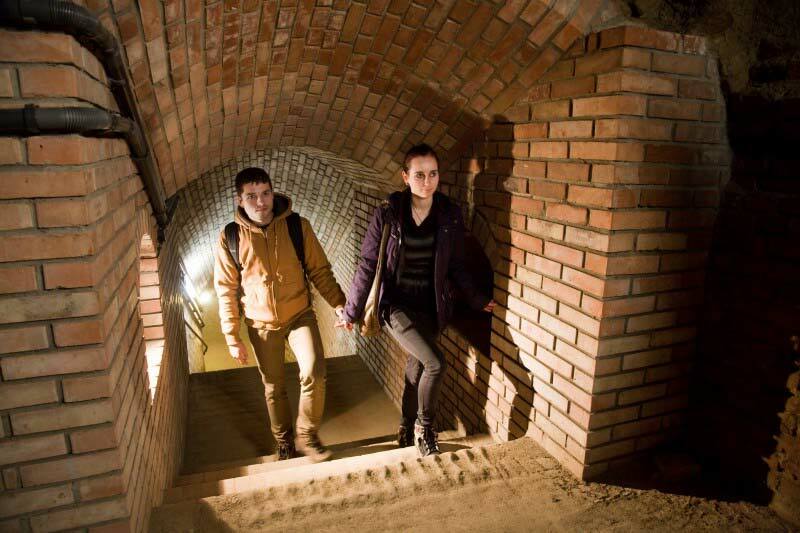 About the project "Lviv Underground"
The Underground City project – the development and promotion of cross-border tourism through the creation of a cross-border underground tourist route through Lviv, Rzeszow, and Lublin – will be implemented by the Historical Environment Bureau of the Lviv City Council with the support of the Cross-Border Cooperation Programme Poland-Belarus-Ukraine (2007-2013) of the European Union. 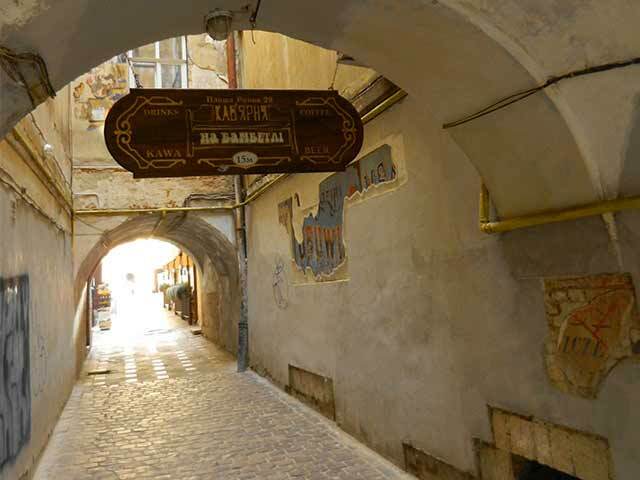 The project aims to increase the competitiveness of partner cities in the field of tourism, the development of cooperation between municipalities, the development of tourism infrastructure and the promotion of tourism in the border areas. 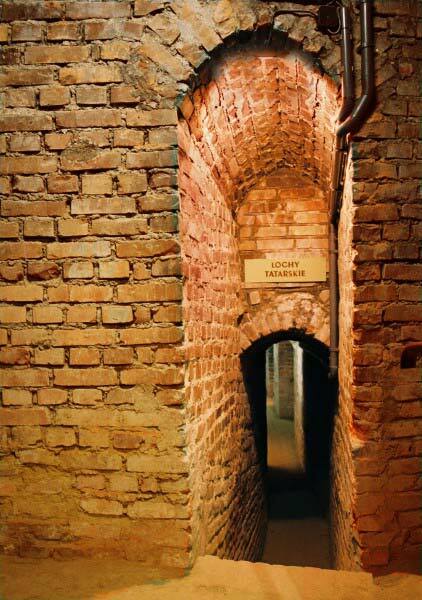 Rzeszow already offers a popular underground tourist route under Market Square called "Rzeszow Cellars", it is 396 meters long and 0.5 m to 10 m deep. The history of this partnership is quite long and significant. The project includes joint activities and an exchange of experience. It will also create new integrated tourism products and improve cross-border cooperation. Partner organizations will work together to create media material and promote underground tourist routes in their respective cities. 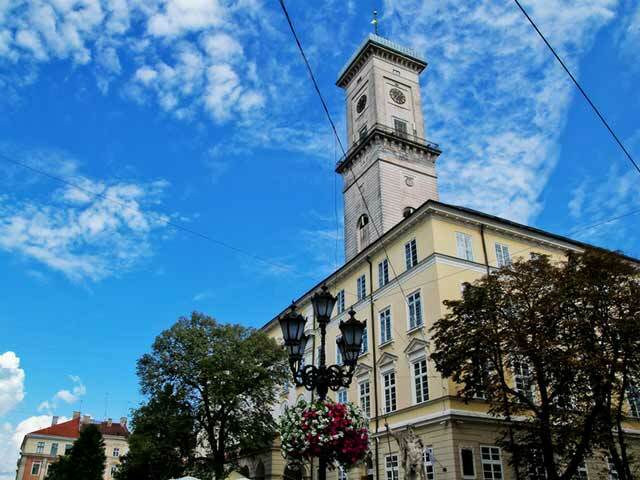 This project will allow Lviv to design and develop its own concept of an underground route that will pass under the city centre. 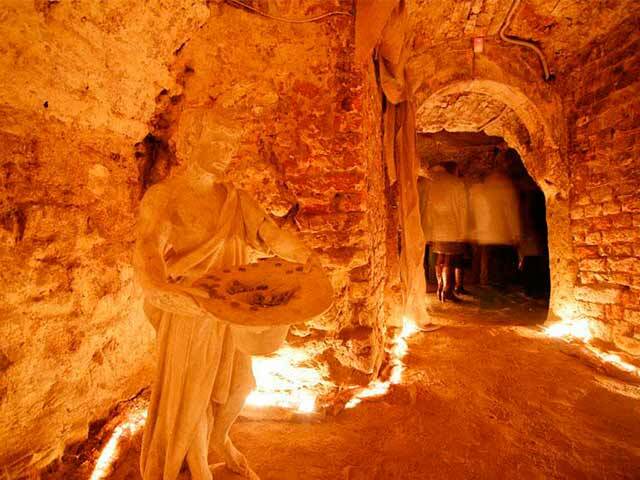 The tunnels will run through the most interesting sites of underground Lviv associated with important cultural and historical facts about the foundation of the city. The area is bounded by two defensive lines – the Higher and Lower Walls, the remains of which were found and partially excavated in 1977-78. 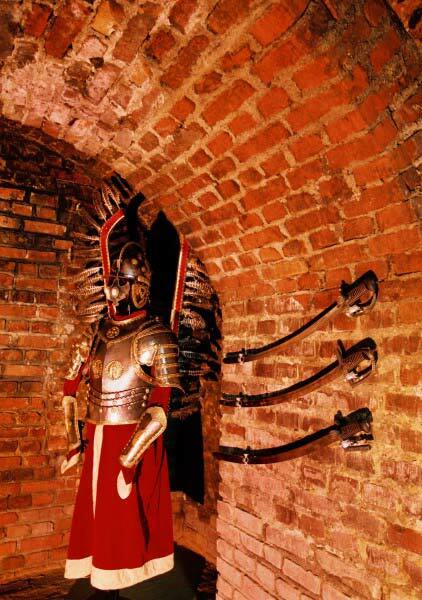 The vertical drop between the ancient and modern surface is between 2.5 – 4.5 m.
This section will offer an information centre, a recreation area and an exhibit on Lviv Fortifications. 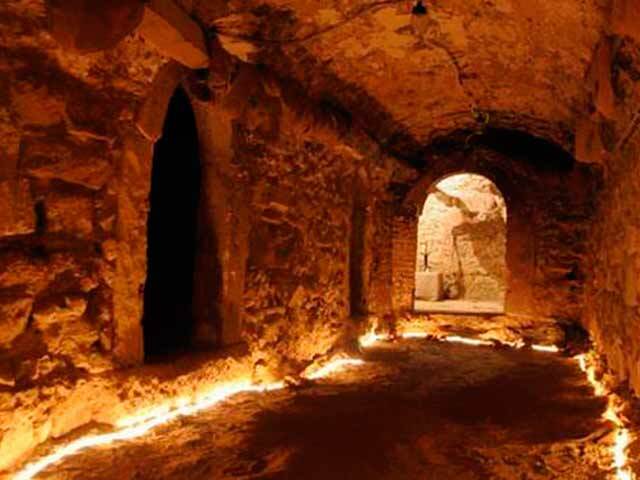 The underground area will house an exhibit of authentic remains of the city walls. 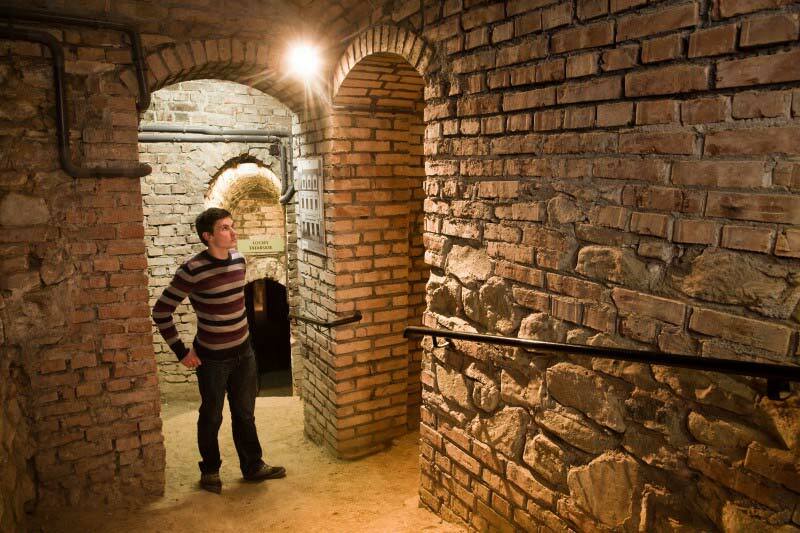 This architectural ensemble constitutes one of the oldest and most mysterious sites of ancient Lviv. 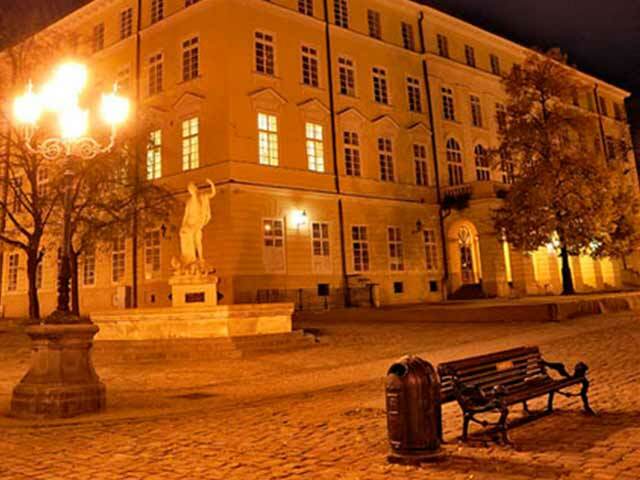 It is said that the palace of Prince Leo was located here; he presented it to his wife, the Hungarian princess Constance after their marriage in 1247. As Constance was Roman Catholic, she encouraged and promoted the Dominican Order, which soon took over the whole ensemble together with the former palace and the nearby shrine. 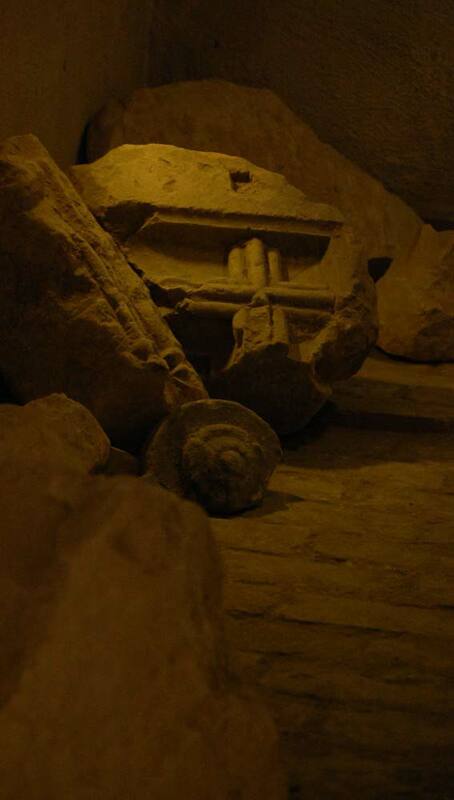 Recent architectural studies have revealed mysterious structures that were found within the present monastery walls; it is difficult to interpret them as being anything else than the remains of a ruler’s residence. 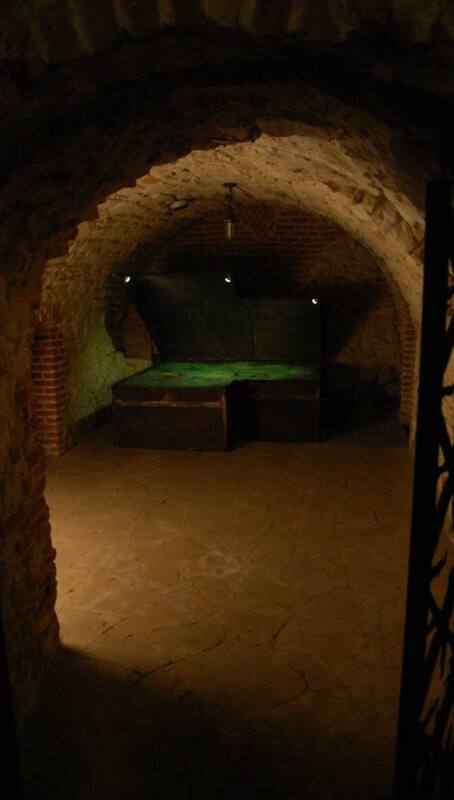 One of today’s most popular exhibits in the Museum of the History of Religion is built upon this legend; the exhibit is situated in the vaults of the Dominican Monastery. The Church of the Holy Eucharist of the Dominican Monastery was built under the guidance of Jan de Witte, the commandant of the Kamenets-Podilsky Fortress. De Witte was also a reputed and unsurpassed architect. 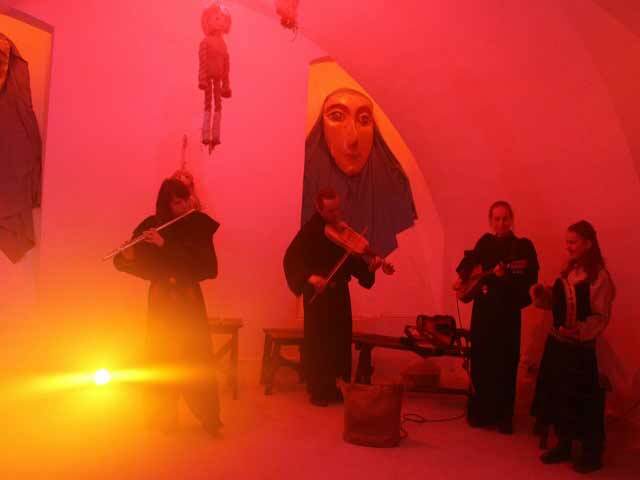 The history of the church dates back to the 13th century, when the Church of St. Peter and Paul stood upon the present site of the church presbytery (another version claims that it was the Church of the Shroud of the Blessed Virgin Mary). The Gothic Church of the Holy Eucharist, constructed during the late 14th to mid-15th centuries, stood until 1745, when it was dismantled due to its decrepit state. 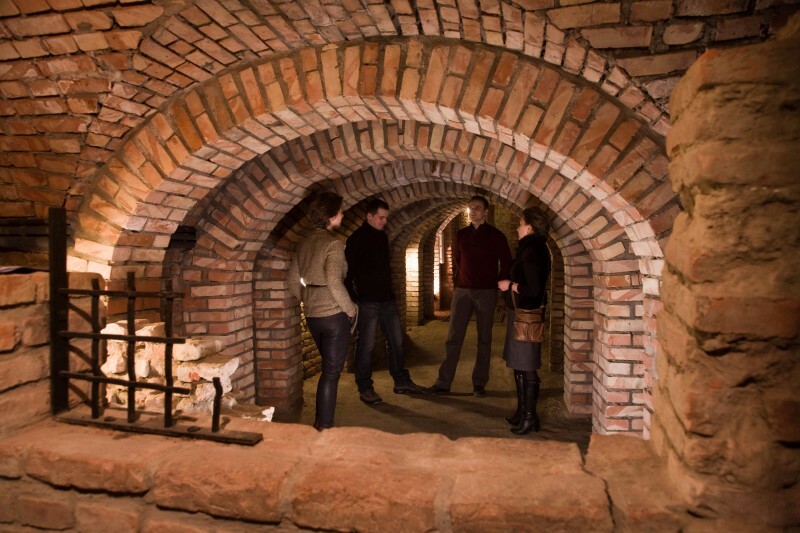 The church vaults, which now house exhibits of the Museum of the History of Religion, are unique structures in Lviv: the walls and arches, built of hewn stone blocks, are perfectly shaped and proportioned. 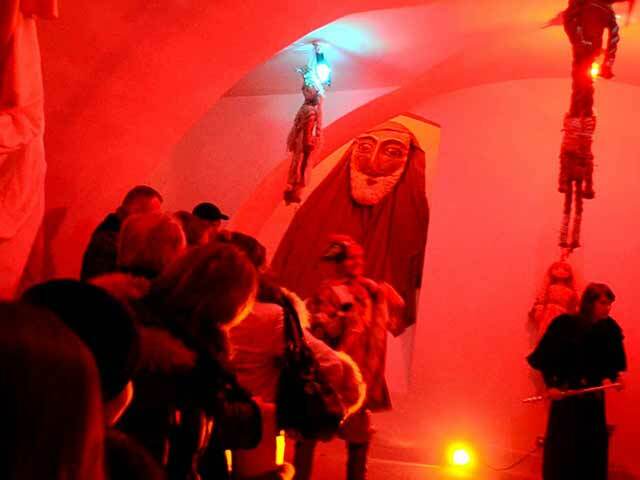 The interior can uncover the oldest and most mysterious stages of development of Lviv during the Middle Ages and the Kingdom of Rus, as well as the history of the Dominican mission in Rus at the beginning of the 13th century. An old district with buildings that belonged to the Ukrainian and Armenian communities was situated within the present Muzeyna Square. It was dismantled for sanitary concerns in the late 19th and early 20th centuries. The buildings were constructed according to the principle that was used everywhere in the city centre – closely-built semi-detached houses with small interior courtyards. 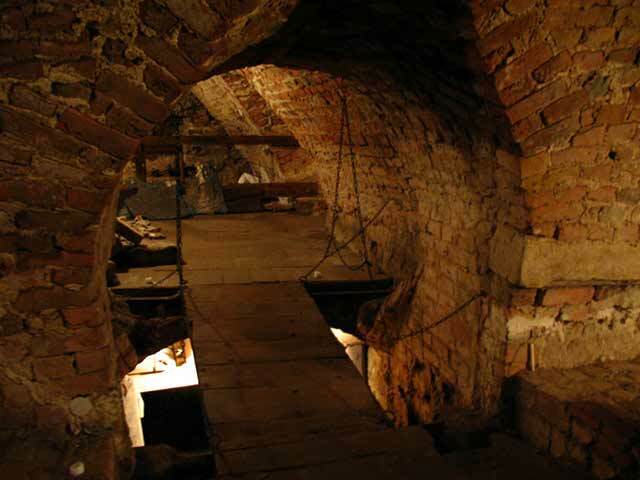 Archaeological studies conducted in the summer of 2013 showed that early cellars were deliberately filled up, and materials that could be re-used for construction were selected from the pit. 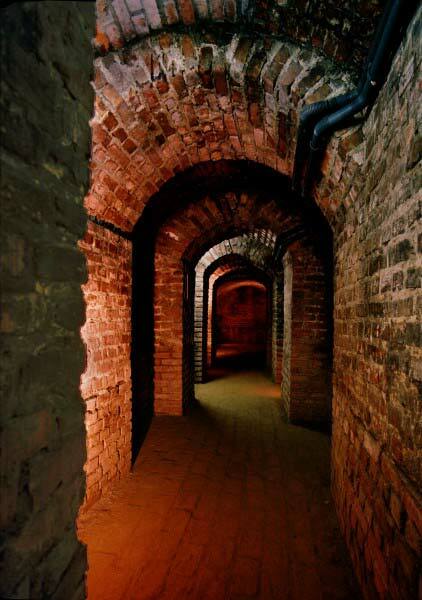 However, a significant part of the structures and beautiful sections of the vaults have been preserved for the future. If we consider only the anterior section of the building, the approximate floor area would be 350 – 400 m2. 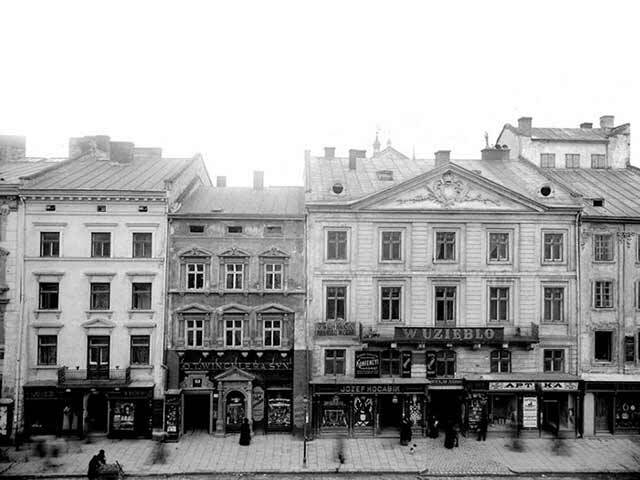 10 Fedorova Street – 6 and 7 Market Square. 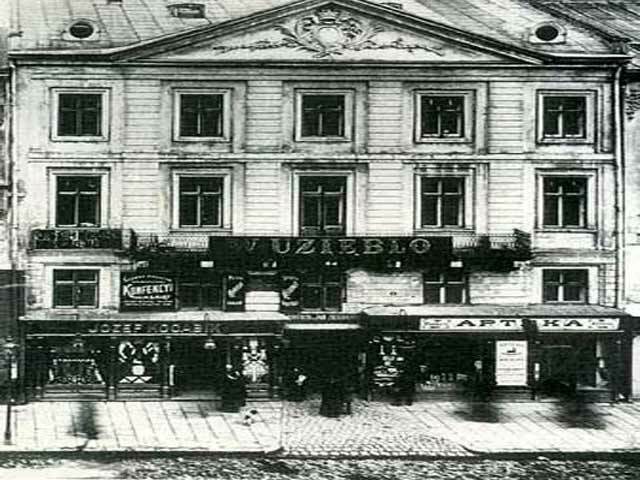 Historically, this is a “landplot” that stretched across the whole district and was called Szembek, later – Krauze House. The buildings in this area formed an integral whole. Separate buildings were constructed as early as the 18th century. 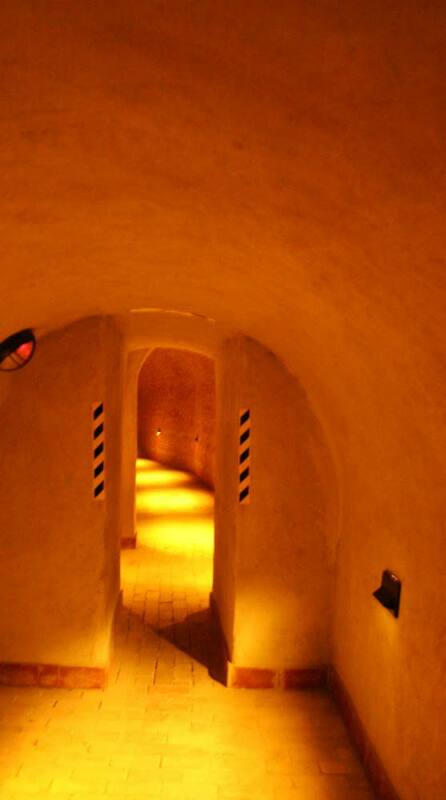 The authentic design of the structures has been preserved – stone and brick walls and arches. 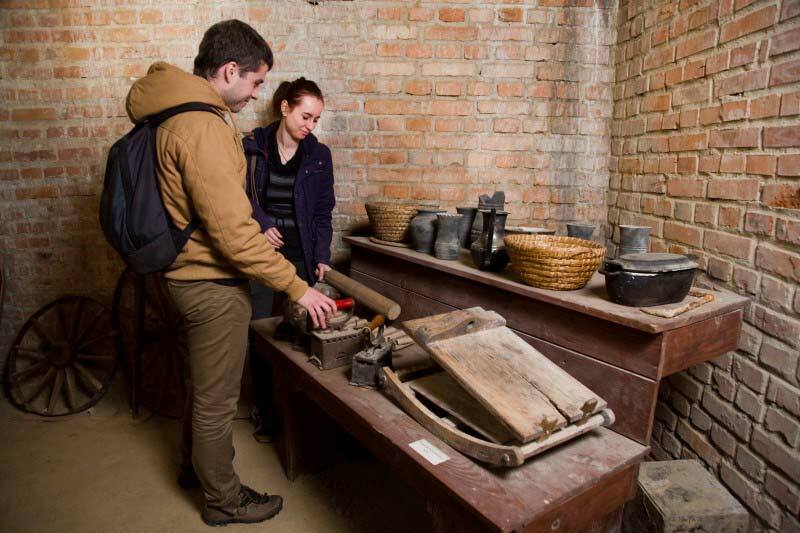 Exhibits from this site could demonstrate the bourgeois lifestyle of medieval Lviv and the system of urban landplots, while open-air ground explorations can show the evolution of construction equipment from the Gothic period to the present day. 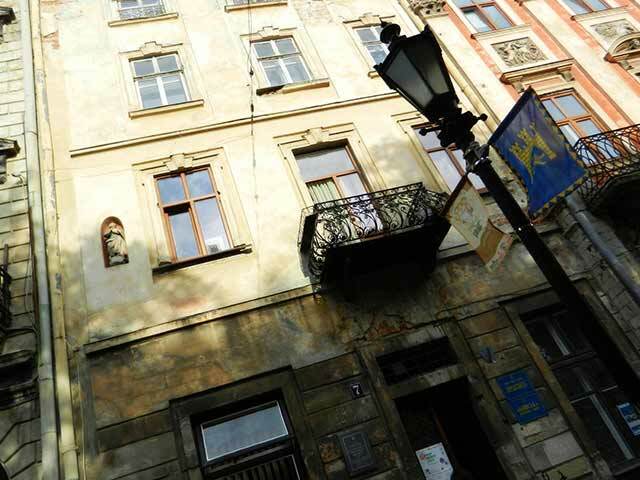 The buildings on the east side of Market Square used to be considered the most prestigious in Lviv. Stone building No. 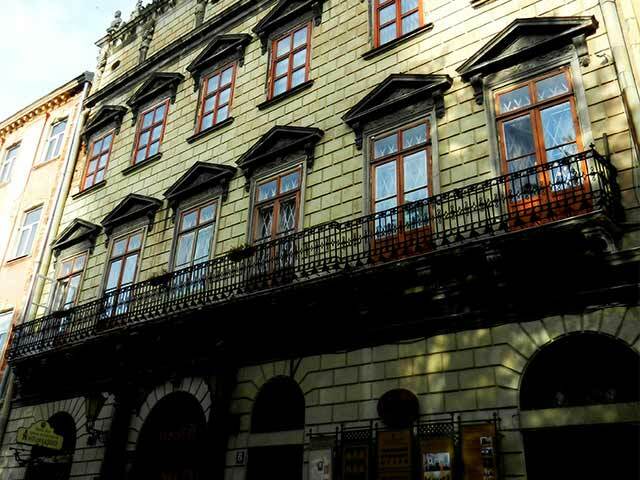 8, called Bernatowicz House, belonged to the famous Armenian Bernatowicz family. 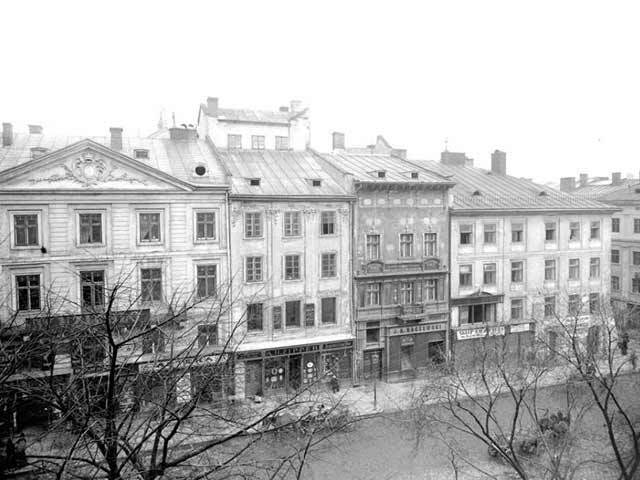 It consisted of the main building overlooking Rynok Square and a rear building facing Fedorova Street. 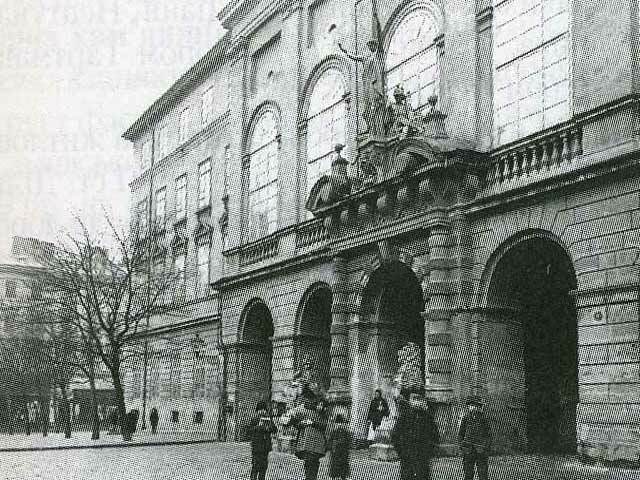 Despite the ban on Armenians occupying homes on Rynok Square, the Bernatowicz family managed to defend its property under the guise of royal patronage. As of 1376, stone building No. 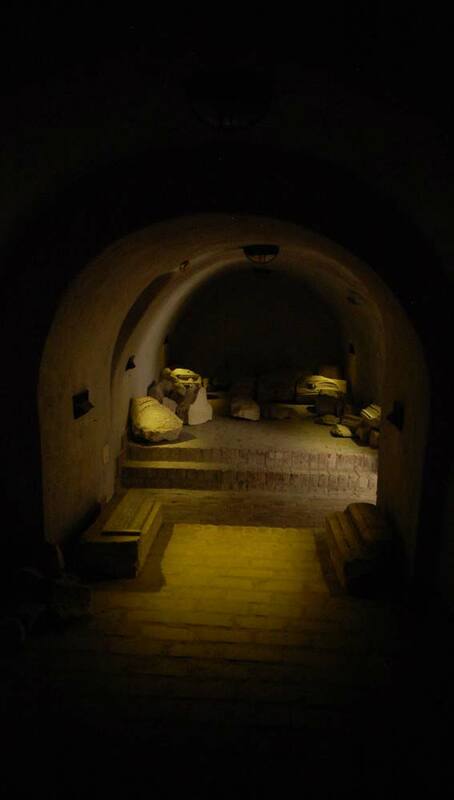 9, which is twice as wide as the other structures and stretches the depth of the whole quarter, was home to the estate of the Latin Archbishop. 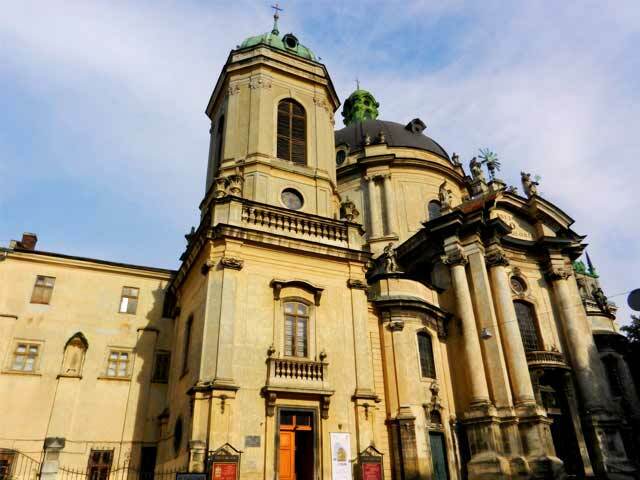 The modern stone house has retained its structure since 1634, when it was completely rebuilt by Archbishop Stanisław Grochowski, who turned it into a palace with many halls and chambers that could accommodate the entire Rzeczpospolita royal court during its stay in Lviv. King Michał Korybut Wiśniowiecki died here in 1673. 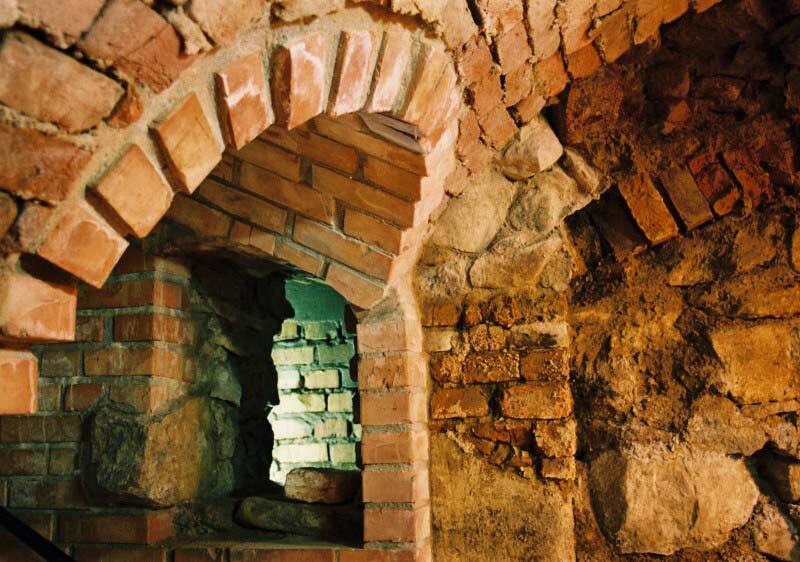 The cellars of these stone houses stand witness to the dimensional and constructional evolution in Lviv from the 14th to the 17th centuries. 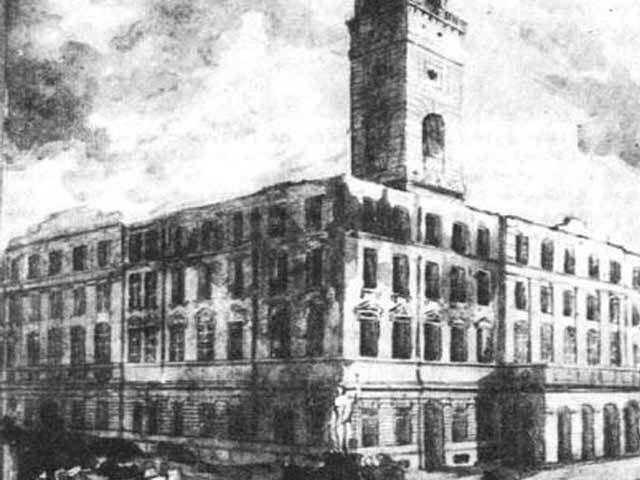 The City Hall has witnessed many historical events. The structure dates back to the construction period of the City Hall (1826-1827), and is interesting as a landmark building. 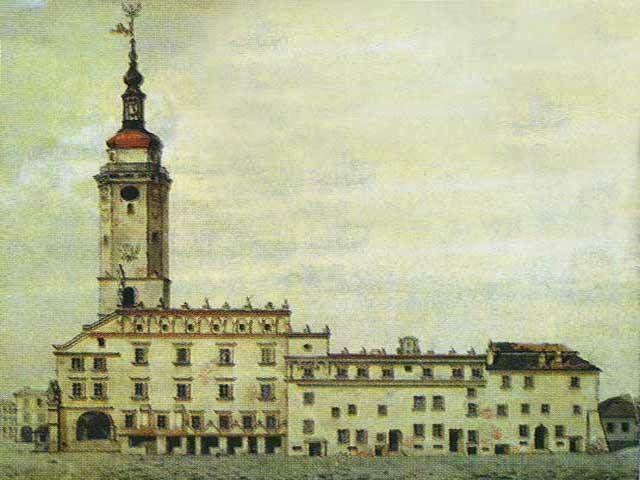 The City Hall structure of 1491 was quite monumental. It burnt down twice – in 1527 and 1571. In 1619, the City Hall was rebuilt again. 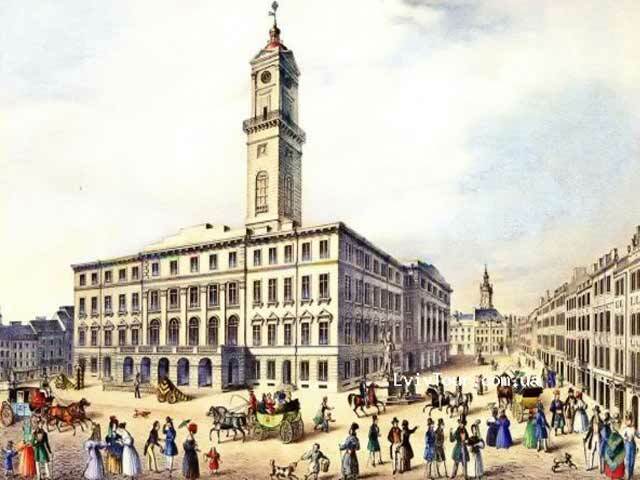 Besides the main edifice, other sections of the City hall were modified and expanded over the centuries. At the beginning of the 19th century, the ancient City Hall consisted of several buildings, the front part of which faced south. The middle edifice was the oldest, reaching back to the beginnings of the city; later, other structures were added on the left and right sides. The main entrance was located in the left wing. 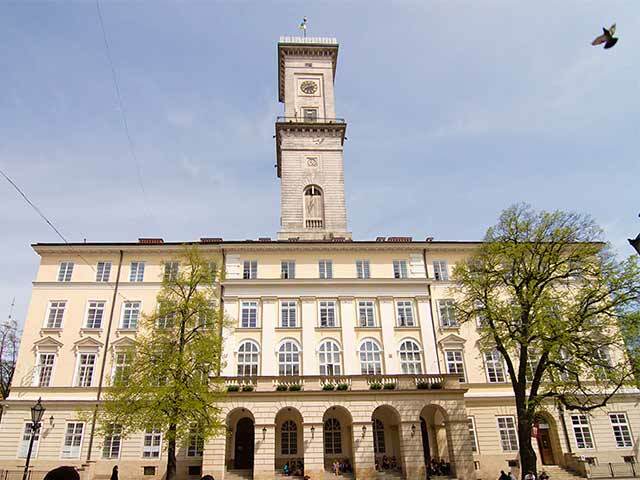 The main theme of the City Hall exhibit is associated with the period of Magdeburg Law, the organizational structure of municipal administration, the attributes of self-government, city symbols, authentic documents, etc. The buildings at No. 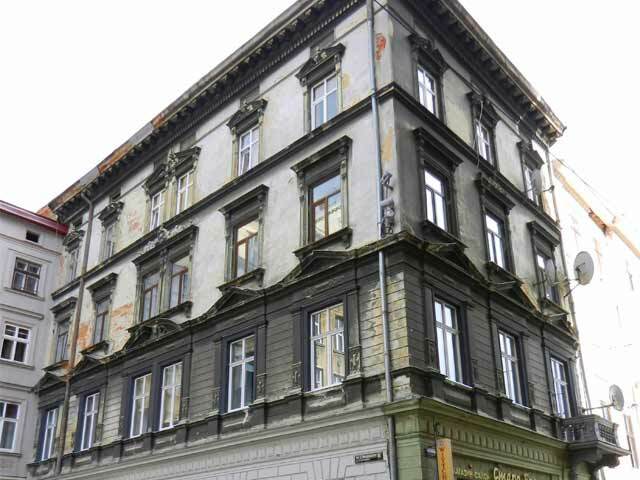 29 on Rynok Square and 29 Teatralna Street have different stories, particularly building No. 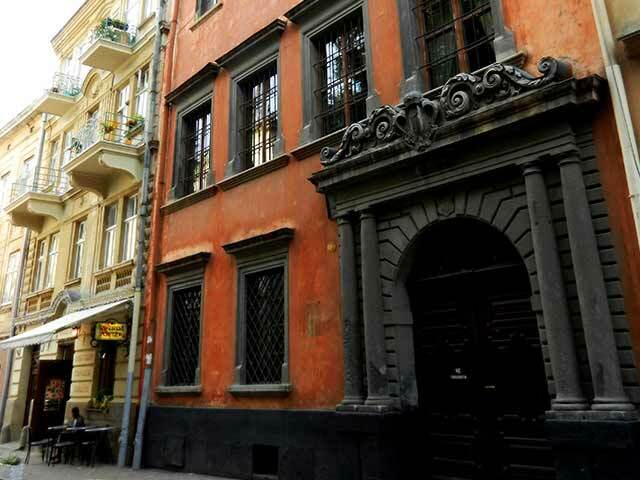 29, built in 1766-1768 for the commandant of the city, Felicjan Korytowski, on the place of the two original stone buildings – Kampian and Dybowicz Houses. However, these two stone buildings were used in the construction phase. 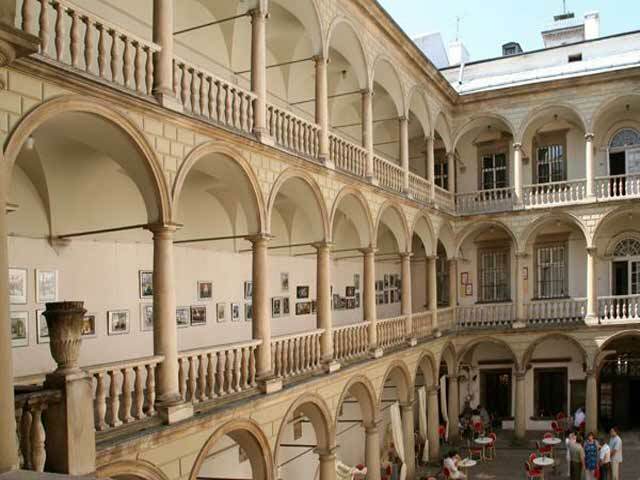 The building area extends to Teatralna Street; the courtyard has double exits, where the first commercial gallery – Andriolli Gallery – was opened at the beginning of the 19th century. 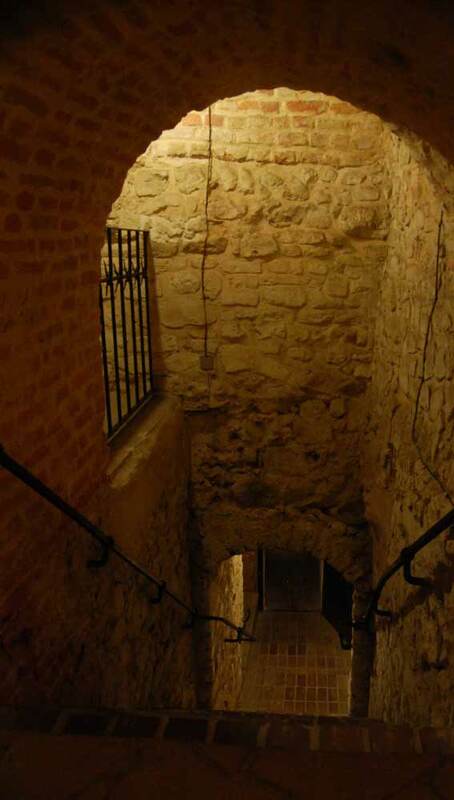 The cellar system allows you to pass under the whole house to the opposite side of the quarter. The house has come down in history as the Regulowska or Regulusowska House. 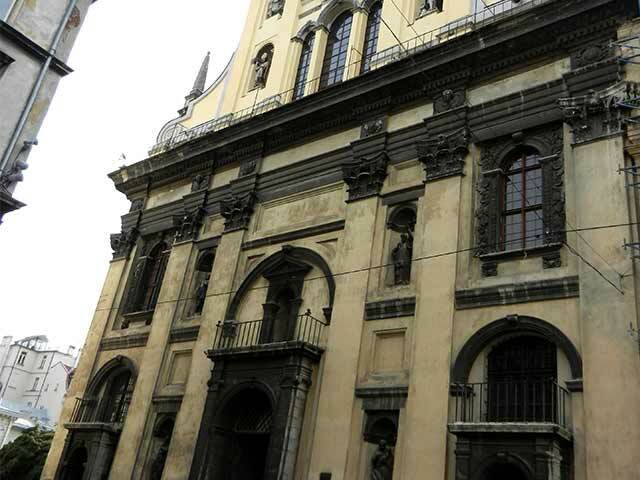 Continuing in this direction towards the Church of the Jesuits, you could come upon rear facades of three stone buildings that faced Shevska Street. They were dismantled in the second half of the 18th century. 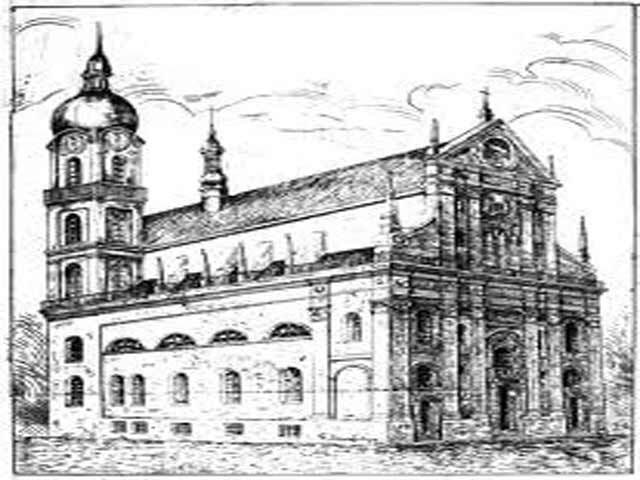 The ensemble of the Church and Hospice of the Holy Spirit was built on four primary areas of city development that were donated by upper-class residents for charitable purposes between 1375 and 1406. 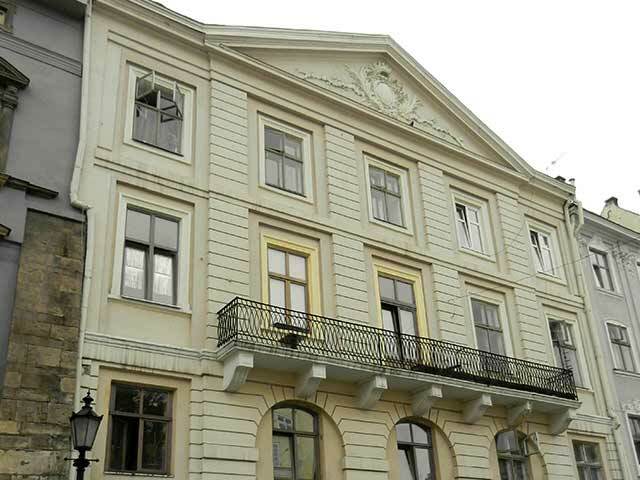 It was intended as a retirement home for Lviv residents who were no longer able to continue their craft and pay taxes. Thanks to generous donations from the people of Lviv, these dependents did not lack anything and were treated as citizens of a wealthy city. 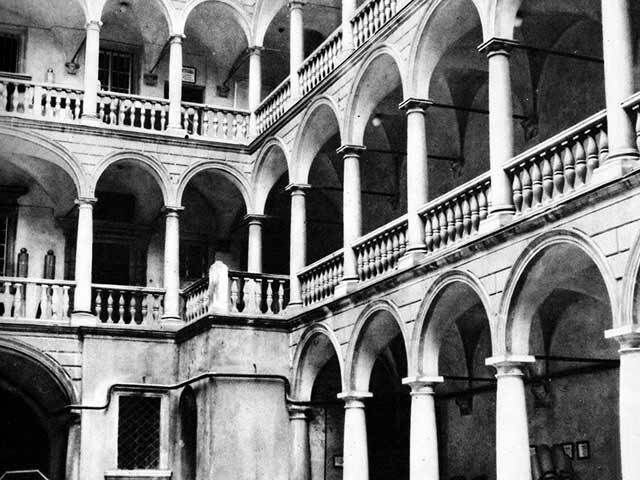 This spacious hospice had two passageways, on both sides of which were two halls for old people and beggars, respectively. 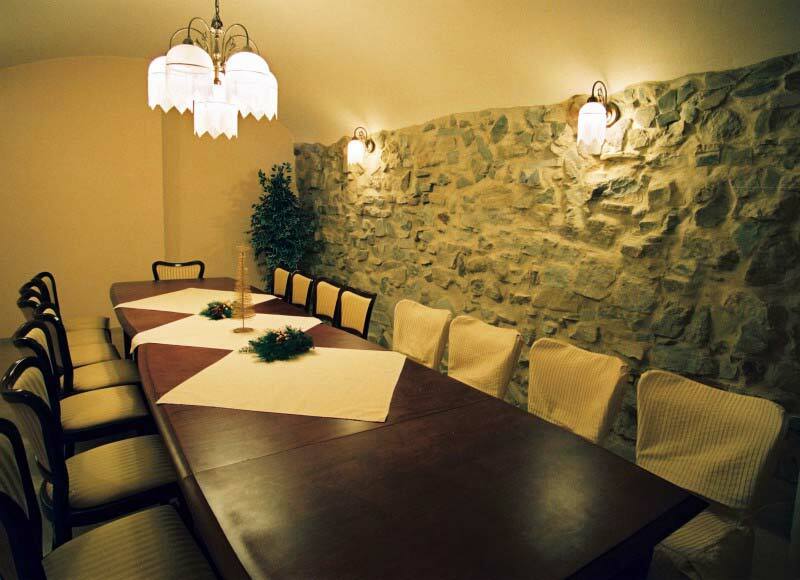 There were small rooms on the upper two floors that were used by dependents residing at the hospice. In the northern part of the ensemble stood the Gothic Church of the Holy Spirit, a small and neatly arranged structure. 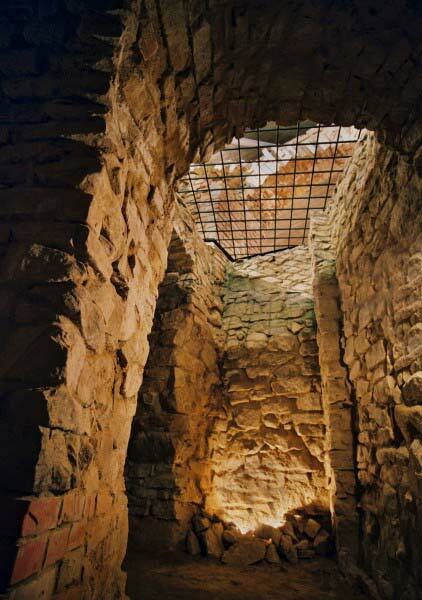 The remains of these buildings were uncovered during archaeological excavations in 1978 and 1997. 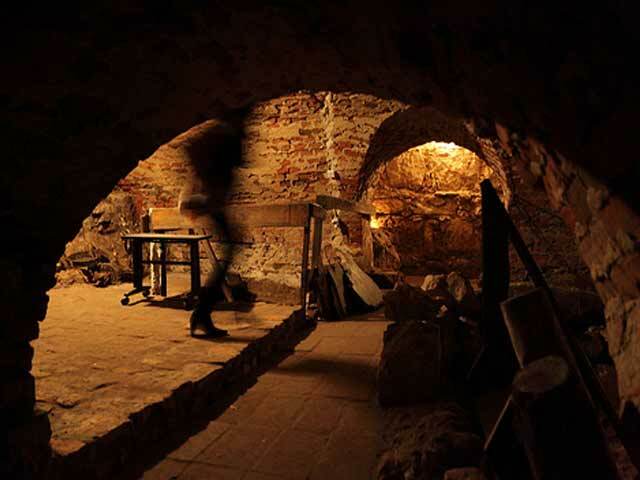 The depth of the church crypt and the hospice cellars floors reaching 3.5 m deep make it possible to recreate those old premises housing the underground exhibit dedicated to Late Medieval charity institutions below the street level. 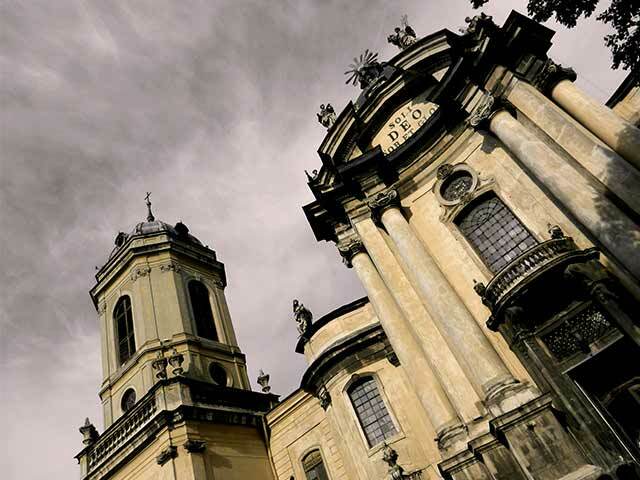 The Church of the Jesuits was built in 1610-1630 on the place of the older city quarter. 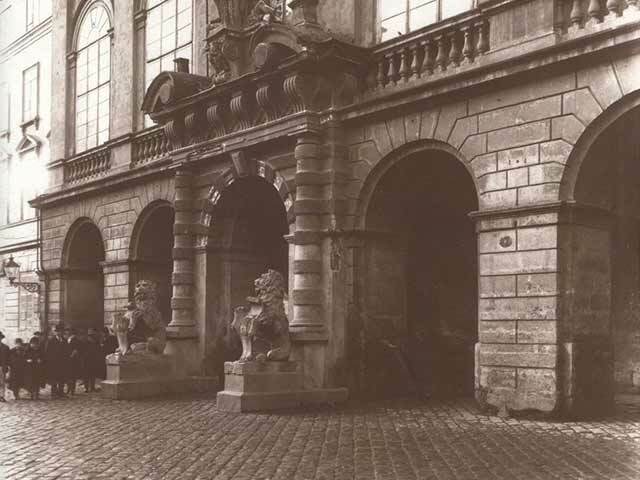 The following landmarks were located here – estates belonging to Sofia Hanelova and the Crown Hetman Stanisław Żółkiewski, the home of patrician Bartłomiej Tacik, the home of the parish clergy, the tailor guild-hall, the municipal school and a municipal and private bathhouse. 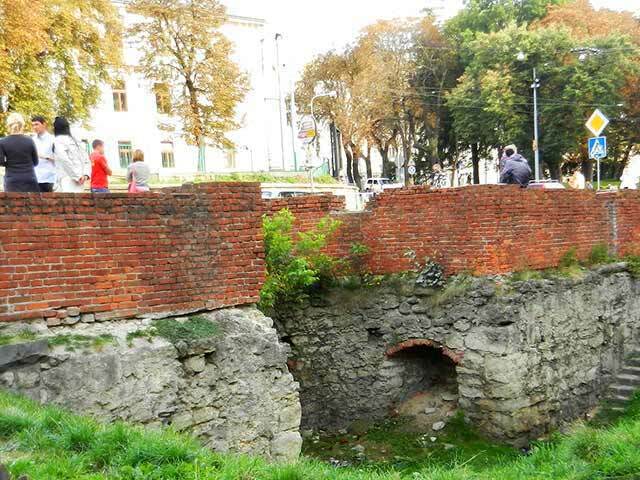 Present-day Shevska Street continued up to the city walls, and the original name of this segment of the street was called Laznicza (Bathhouse Street). The building has a Gothic frame – buttresses, pinnacles, pointed arch windows that originally fused with the baroque style of the main facade. 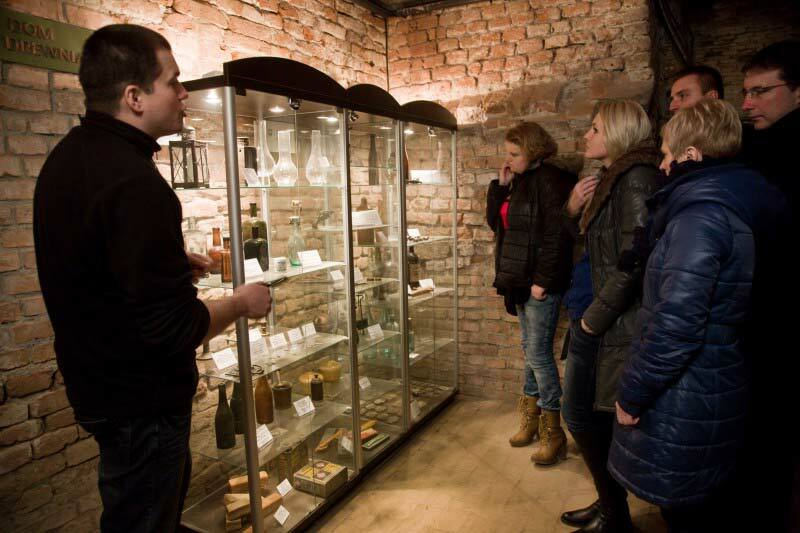 The exhibit will feature the remains of the oldest buildings in Lviv. The crypts will be open. They were once used to bury monks and townspeople. 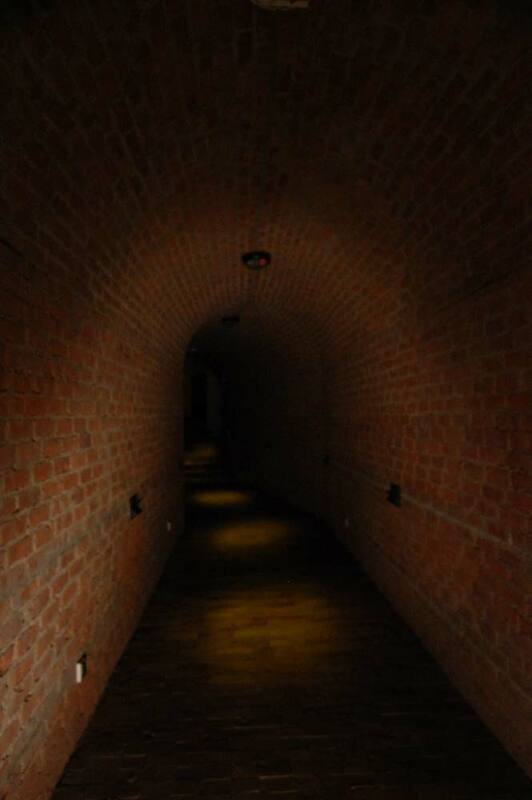 A walled passageway that led under the street to the cemetery of the Holy Spirit Hospice has been preserved in the southern gallery of the crypt.